Read on for my full review of the Layla mattress, which includes everything you need to know about the mattress. – Transition Layer: A 2-inch transitional layer of convoluted foam, egg-crate style. This is a denser 1.8 pound polyurethane foam. – Base Layer: A 5″ solid support layer of 2lb. density polyurethane foam. This dense foam serves as the core of the mattress. – Firm Side: A 1″ layer of the same 3-pound copper-infused memory foam in the soft side. Sleeping on this side will place you in near-direct contact with the support layer underneath. When regularly used, the Layla should last for at least 6-8 years, making the Layla mattress at par with other high quality memory foam mattress brands. And because the Layla is a dual-sided mattress, it is definitely worth the price point. Layla also suggests rotating your mattress from foot to head every time you change your sheets or at least once every month in order to prevent creating dents or unevenness. The Layla does an amazing job at keeping movement transfer minimal, this is because it is generally made up of memory foam. Motion transfer isolation is an extremely important component to consider especially for those who have a sleep partner. The Layla isolates motion to a significant degree. Whether you go for the firm or plush side, you won’t be disturbed when your partner tosses and turns. To tell the truth, Layla mattresses have good contouring and reasonable sinking without losing comfort. First, I will cover the plush side of the Layla mattress; Because of the 3 inch comfort layer, this side of the mattress allows a great deal of sinkage. Therefore you will most likely feel like you’re sinking in the mattress rather than laying on top of it. 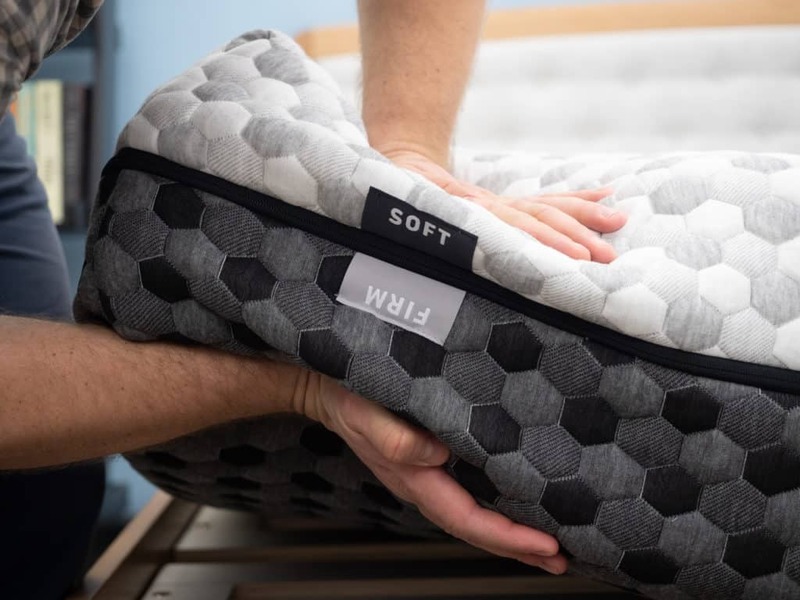 Plus, if you are somewhat heavier, the plush side of the Layla might not be able to provide as much support and may make you feel too stuck in the bed without enough mobility to move around. Next up, the firm side of the Layla mattress, which actually sinks just right. You will definitely get the “floating on top” feel and will have the ability to easily switch positions in bed. This is best for combo sleepers who roll around at night switching positions (back, side or stomach sleepers). The Layla uses both convoluted foam and copper-treated memory foam which can potentially have some cooling properties. But due to the higher caliber of foams used and the fact that it is a memory foam mattress, the mattress may trap a bit of heat but no more than your usual memory foam bed. Additionally, the cover uses a ThermoGel cooling agent to decrease heat build up so that you can bid farewell to randomly feeling hot in the middle of the night. I certainly think it’s worth the cost. Edge support is a common problem with memory foam mattresses. The Layla mattress, having two sides performs about average for a foam bed, surprisingly consistent on each side. But of course, you should expect a fair degree of collapse while sitting on the plush side. Many have noted feeling safe while laying on the edge so that you will feel and see that you are adequately supported both lying and sitting on the edge of the bed. This is a true foam mattress constructed to absorb impact. Like majority of memory foam mattresses, the Layla mattress isn’t that bouncy, and may not be responsive enough for some people, particularly on the firm side. The soft side has a deep cushioning feel as well. On the bright side, this specific foam has a rather quick reaction time. For that reason, you shouldn’t suffer from a trapped feeling when moving about. Every Layla Mattress is made to order and takes two to three days to manufacture and package. Once shipped, transit times will take from 2-5 days depending on your location. All mattress shipments originate from Phoenix, Arizona USA. Delivery Charge: Layla Mattress ships to the lower 48 states for free. Delivery to AK and HI is $125 per mattress. While shipping to Canada is $200 per mattress and includes all duties and fees. – Deliveries are made with FedEx. The mattresses take 2-3 business days to manufacture, and after it is shipped usually takes 2-5 days to get to their destination. – Just standard shipping is offered. Expedited delivery or White Glove delivery aren’t available at the moment. Old Mattress Removal: Since Layla Sleep used FedEx for all deliveries, old mattress removal solutions aren’t available at this time. The Layla is a bed-in-a-box mattress, which means it will be shipped straight to you and come compressed. You will want to start by taking the rolled up Layla mattress from its box. Then, preferably with another individual’s assistance, transfer the roll on your bed. Cautiously cut the away the first layers of plastic until the still-compact mattress can be laid down flat. Then, remove the final layer of plastic and the Layla should expand. Simply throw away the excess plastic and let your mattress breathe and fully expand. – The trial starts on the date of purchase. There is a mandatory two-week break-in period. Owners may not return their mattress for a full refund until they have tested the mattress out for at least 2 weeks. – Mattress buyers in the lower 48 states are eligible for a full merchandise refund with no additional fees if they return their mattress within 120 days. Customers in Alaska, Hawaii, and Canada will be given a product refund, but their extra shipping charges are non-refundable. – Because Layla does not restock mattresses, customers do not have to actually return their mattress to Layla’s headquarters. In these cases, the company asks owners to donate their mattress to a nearby charity organization. – Layla will, in the business’ sole option, repair or replace any mattress that is found to be defective for as long as the original buyers use the mattress. This warranty is entirely non-prorated. – Layla Sleep may opt to replace or repair individual components with defects (such as the cover), as opposed to replacing the whole mattress. 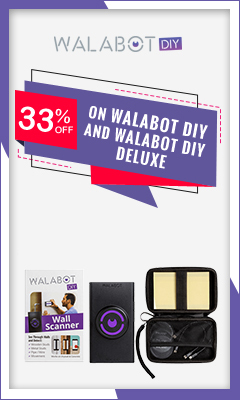 – This warranty is exclusively provided to first buyers who purchased their mattress from Layla or a licensed retailer. Those who buy or acquire their mattress from the original buyer or a non-authorized retailer won’t qualify for warranty coverage. If you’re convinced that the Layla is the perfect mattress for you, the size and pricing info for your mattress can be found underneath. But please note that these figures reflect standard pricing, and doesn’t include my special promo. Click here in order to get my special discount and get $100 off your mattress today. The Layla is the ideal mattress for you if you want to feel as though you are sleeping “in” rather than “on” your mattress since Layla gives you the memory foam feel you enjoy and love. It is also good for you if you require a soft surface for your sensitive pressure points which need to be lightly cushioned against; Especially your hips, shoulders and lower back. The Layla is a great pick for those who sleep on their back, of all weight categories, and performs really well for people who sleep on their side. However, I recommend the firm side of the mattress to heavier people, because it will give them enough support needed and it should feel great. I, personally, like that you get the freedom to choose between two firmness levels. Layla is also ideal if you sleep with a spouse and require a mattress with good movement isolation. This should limit the motion you’re feeling on the bed. The Layla features a double-sided, all-foam a different feel simply by flipping the bed over. This feature lets you have 2 different comfort levels and choose the one that suits you best without the hassle of returns. Many would find this advantage great since it saves you effort, energy, time and money. 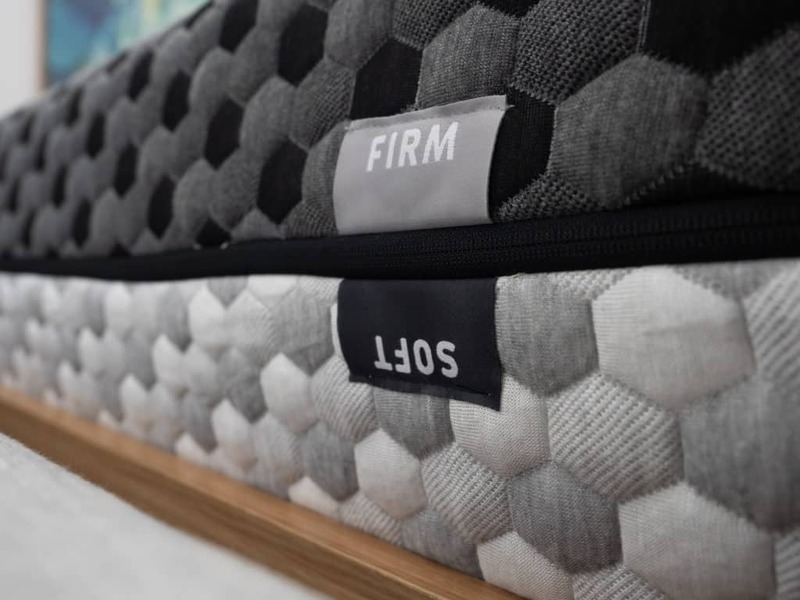 The mattress’ comfort layers use memory foam for a lot of pressure relief and based on our research, we also discovered the mattress to sleep really cool. 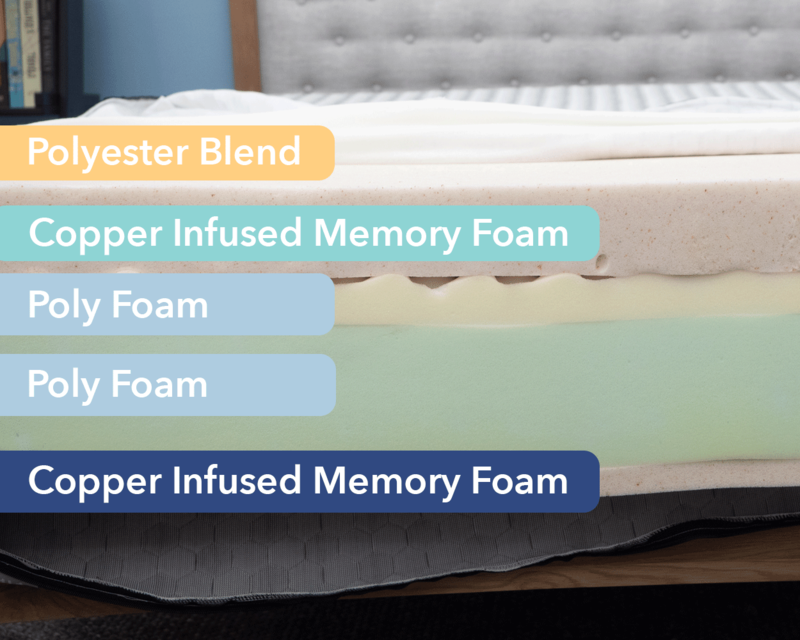 The copper-infused memory foam sleeps cooler than most memory foam mattresses, so with this mattress’ versatility, we think it is a great offering at a reasonable price.